Have you ever done a Beth Moore Bible Study? if so...which one has been your favorite? This is my first one...and I am loving it! She is so funny! And she keeps your attention the whole time she is speaking. Thursday nights I go to my good friend Myrna's home... along with several other women, and we do a Bible Study together. Our friend Cheri leads us, and we open in prayer and then she explains what she has learned from the study preparation, and then we watch the DVD. It is so enjoyable, and yet it is deep and gives us lots of things to ponder and take to heart. Myrna gives us a treat and then we go home. How easy is that?!!! We did an Answers In Genesis session with Ken Ham and that was a wonderful study. 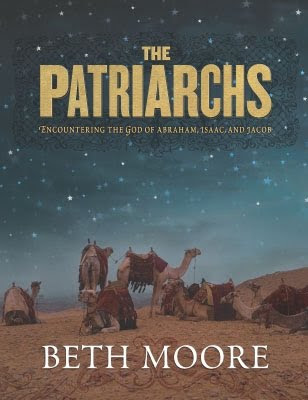 And we have also done a David Jeremiah study, and now we are doing a Beth Moore Study called The Patriarchs....and we are just about to finish it. It has been a wonderful DVD series and all of us have learned so much! Week after next we will start another one of her studies...and I can't wait! If you have ever wanted to hold a study in your home, I would recommend getting one of Beth Moore's DVD Studies. She has really been a blessing to our group of ladies. Our group is about 10 or 11 of us at times. Sometimes less. I am thankful for my friend Myrna who opens up her home...and also for Cheri who leads us...and I am thankful to God for Beth Moore who has learned so much through her trials over the years, and from her study of God's word. 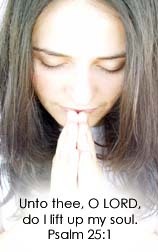 She shares her love of the Lord with us, and she inspires us to study on our own and to draw close to the Lord everyday. Because it is such a casual meeting, we have some ladies that come, who do not go to church. So it has been a ministry outreach to some who would never have heard these truths. Over the years I have attended many studies...but they were mostly in a church setting. But I have to admit that this casual atmosphere has been very comfortable and I have loved it. I am doing this post to encourage you ladies out there in blogland to consider starting your own "in home" studies with a group of friends or neighbors. I know you would be blessed. To tell the truth it has been many years since I have been to this kind of Bible study group, but I remember that those in people's homes had a comfortable feeling that led to a very positive kind of learning and sharing. I miss doing those kinds of bible studies. i've done several of Beth Moore's studies - and honestly, it is hard to pick a favorite. David was good (don't remember what it was called, but it was about the life of David, i think). She has always been a favorite of mine. I miss that! I've got to find a bible study that goes through studies like that. I highly recommend ANY of her studies!! Sounds like a great idea. Have a great day! I have never done a study but I am going too. Thanks for leading me to a good one to do. I have read a couple of her books. Enjoy your Bible study! Visiting from 6WS. I love Beth Moore studies. I think Believing God was my favorite, although they are all excellent. I pray your study continues to bear much Kingdom fruit. Keep up the great work! 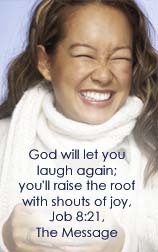 My favorite Beth Moore study was "Stepping Up" which was about the Psalms of Ascent. I love the psalms! We usually do our Bible studies at church also, but I have been considering doing them in homes instead. Glad to see your take on them. Sweet blessings to you on Mother's Day. May you have a wonderful day. I have done some Beth Moore Bible Studies, but hadn't heard of the one you're doing, but it sounds great. 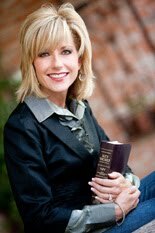 I met Beth Moore when I lived in the Houston area and attended one of her in person Bible Studies. Will have to check into this study. I'm glad you're enjoying the studies. It's always important to find someone that can frame things in meaningful ways and it sounds like this does that for you. Yes, Beth Moore is great!... I was previledged to go hear her with my daughter and a couple of friends. How I wish We could all remember everything she told us that day. Hope you are having a wonderful Mother's Day. I am currently hosting a weekly Beth Moore study (Daniel -- I highly recommend it. Deals with a lot of end times prophesy) at my house. Our group is usually about 10-11, sometimes less. I definitely agree that her studies lend themselves to an informal group setting. We are currently doing a Beth Moore study in a Ladies Bible Study group at church. It's so good. I would love to do one on a smaller scale in someone's home, though! HOPE you had a great Mother's Day!!! Haven't done a Study but I've read lots of her book. I LOVE HER! I bet that is wonderful!! Yes, I've done the study on the Patriarchs TWICE...and several others by Beth Moore. This was one of my favorites! YES--- I would recommend all of Beth Moore's books and studies! I have done eight (or nine... I can't remember) and they are WONDERFUL. I have grown so much through each of them. The Patriarchs study holds a special place in my heart because of one of the sessions. It spoke directly to me where I was, and God used it to change my attitude toward my job (which I hated at the time). The Esther study is probably my favorite. She's coming out with a James study later this year and I'm VERY excited about it! Also, if you can get your hands on any of her books, they are wonderful! I have two of them and if you'd like to borrow them let me know! I'd love to lend them out. Last thing... Beth and her daughters have a blog at http://blog.lproof.org/. I've been reading it for 3 or 4 years and get lots of encouragement from it. :) I'm doing the Siesta Scripture Memory 2011 (watch for a blog post about that later this year)! As you can tell, I'm a huge Beth Moore fan!